Who: Safe Kids Palm Beach County, a program of Community Partners of South Florida and generously funded by Children’s Services Council (CSC), along with other local organizations will join together for Safe Kids Day, an event that highlights childhood injury prevention. What: During this fun-filled event, children will receive their brand-new bicycle helmet, designed to keep them safe on their two wheel adventures. 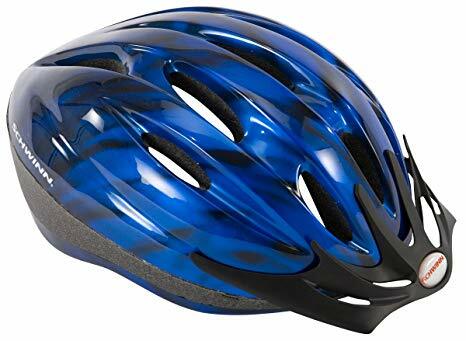 Children in attendance will be fitted to ensure the proper helmet size is selected and will have the chance to sharpen their skills on bicycles available on hand. In addition to the helmet, children will receive a drawstring goodie bag to fill with useful information (courtesy of CSC). Palm Beach Children’s Hospital in partnership with Good Samaritan Medical Center will be hosting a scavenger hunt with prizes for the kids. Please note: helmets and items will be distributed on a first come, first served basis only. Why: Safe Kids Day is designed to help educate and create awareness on safety precautions that can be taken to reduce injury. According to Safe Kids Palm Beach County, injuries from car crashes, fires, drownings, poisonings, falls and more are the number one threat to kids in the United States. Throughout the world, one million children die of injuries each year, and nearly every one of these tragedies is preventable. With a focus on bicycle safety, Safe Kids Palm Beach County, a program of Community Partners of South Florida, is helping to reduce the estimated 467,000 bicycle injuries that occurred in 2015 across the nation, many of which could have been reduced with the proper safety equipment according to CDC. When/Where: Saturday, April 13th from 11:00 a.m. – 2:00 p.m. at Palm Beach Outlets, 1751 Palm Beach Lakes Boulevard. The event will be set up in front of the mall, near the water fountain. For more information on this event, please contact Kelly Powell-Evans at Safe Kids Palm Beach County via email kpowell@cp-cto.org or by phone at (561) 312-3770. Community Partners of South Florida is a $16 million comprehensive community development nonprofit agency headquartered in Riviera Beach that provides services to families facing social, emotional and financial adversity. By using a unique, breakthrough approach integrating housing and financial empowerment, child and family mental health, and community services, Community Partners creates self-sustaining families and communities and serves as a driver for growing its local economy. For more information about Community Partners of South Florida, visit www.cp-cto.org. Safe Kids Palm Beach County works to prevent unintentional childhood injury, the number one cause of death for children in the United States. Safe Kids Palm Beach County is a member of Safe Kids Worldwide, a global network of organizations dedicated to preventing unintentional injury. Safe Kids Palm Beach County was founded in 1988 and is led by Community Partners. Safe Kids Palm Beach County is funded by Children’s Services Council of Palm Beach County. For more information, visit www.safekids.org or the Safe Kids Palm Beach County website. Children’s Services Council of Palm Beach County – a special-purpose government established by Palm Beach County voters in 1986 and reauthorized in 2014 – provides leadership, funding, services and research on behalf of the county’s children so they grow up healthy, safe and strong. To make the biggest impact, the Council focuses on prenatal health and early childhood development so more Palm Beach County children are born healthy, are safe from abuse and neglect, are ready to learn when they enter school and have access to quality afterschool and summer programs. 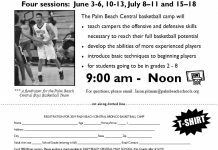 For more information, visit www.cscpbc.org.